Below are the kind people that volunteer their time to ensure that Petts Wood Runners is a thriving, successful and sociable club. Please feel free to contact any of them with any questions or find them at the club on a Tuesday evening. 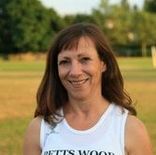 ​​Karen has recently stepped in as Interim Chairperson and is managing the role as well as continuing to be the Petts Wood 10k Race Director. She is like everybody's big sis. She is always making sure everybody is okay and is always looking out for others. Karen is well known for rustling up a cake or two at PWR events. ​As Club Secretary, Daniel is responsible for major club decisions & disciplinary matters. KCAA & EA administrator - General club contact. Daniel joined PWR in 2016. He takes part in most club races (although still doesn’t like the mud and wet of the KFL) and is infamous for starting slowly before working his way through the field. He has tried 7 times, but not yet succeeded, to run a sub 3 hour marathon. Stephen joined PWR in October 2015 having just run his 6th marathon with the sole intention of trying to run quicker marathons. He achieved this in his next few marathons and also recently ran his first sub 3 hour marathon at London 2017. This was a level he thought was unachievable. He now wonders how much lower he can go with the help and love of everyone at PWR. ​Having hated running at school and given it up as soon as he could, Tim resumed in 2007 in order to keep fit for playing football. With his new found enthusiasm he entered the 2010 London Marathon, attended parkrun for the first time in 2011 and joined PWR at the beginning of 2013. He then hung up his football boots to concentrate on running. Tim is one of the run directors' team at Bromley parkrun and an England Athletics leader in running fitness. Karen has recently stepped down as Chairman and before that she was Ladies Captain. She is like everybody's big sis. She is always making sure everybody is okay and is always looking out for others. Karen is well known for rustling up a cake or two at PWR events. The social scene is important to the club as it is one of the ways that we all to get to know each other better. Whether it is on the coach to a race or at the 'PWR Race HQ Tea-Bar', there will always be time for socialising. Joanne's role as Social Secretary is to co-ordinate our social expeditions. She is always looking for new ideas so please let her know if you want to arrange something for our members! When Joanne first joined PWR in Feb 2017 she had just completed her very first 5k parkrun, but through the help and encouragement of the club she has her sights on completing her first marathon this year in October! 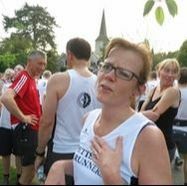 Joanne can often be found running and chatting away to members throughout the club and can be found in a variety of Tuesday night groups, parkrun or volunteering at many local and PWR events. Joanne loves the support offered from PWR and claims that the best thing about being one of the more “casual” or slower runners is hearing the stand out cheers from fellow club runners when you are coming down that home stretch! ​Helen joined PWR at the beginning of 2013. She says what she loves most is the amount of brilliant running friends she has made via the club. She is a regular at Bromley parkrun and her favourite distance is 10k. She has completed 2 half marathons and runs with group 4. Being injured in 2014 and not being able to run is the worst thing to have happened in her running career. Helen loves the fact that doing lots of running means she can eat lots of cake! Nicky is proof that women are better at multi-tasking than men. She can run, listen and write things down all at the same time! Minutes committee meetings and AGM. 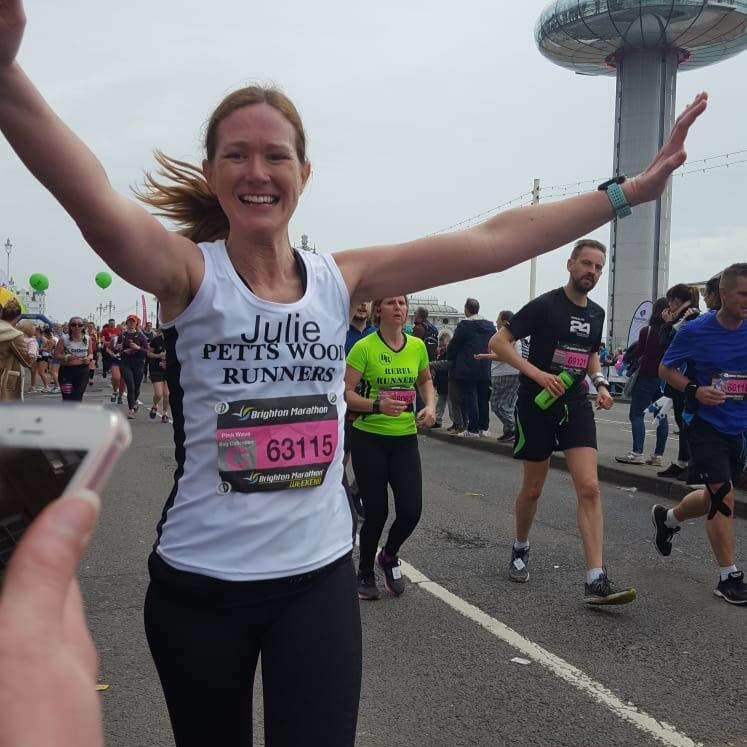 Julie joined PWR in May 2015 and has progressed to a regular group 7 runner. She loves to attend races and events especially when all the faster runners finish first and are there to cheer her at the end. PWR has definitely changed her life for the better. 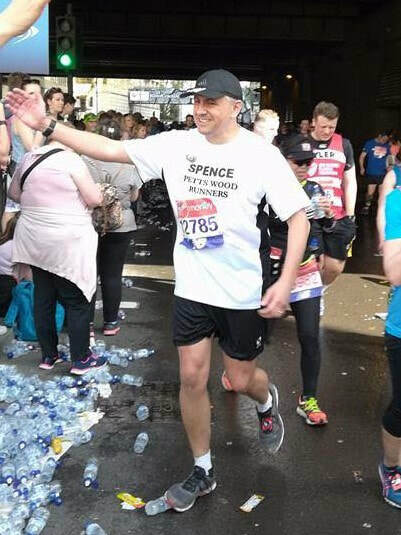 Spencer joined PWR in 2015 and slowly progressed from Group 1 to Group 7. He has enjoyed getting to know many PWR members on his journey. He describes himself as the annoying runner who never stops chatting on every run. In April 2017 he became a leader and now regularly lead groups 6 and 7 on Tuesday evenings. Whilst being a club member he has proudly completed 2 marathons in his PWR top and participated in many grand prix events. He also assisted the race team with the revised route mapping of the PWR 10k in 2017, oh and has also been known on several occasions to be dressed as the PWR gorilla. Mike is a founder member of PWR being one of the twelve to join in on the first night. He first competed in athletics in 1975 for Bexley AC and after 25 years service to the club was made a life member in 2000. His PBs include a 1:12:56 Half Marathon and a 2:58:06 Marathon. In 1984 Mike was diagnosed with Ankylosing Spondylitis and was told he may never run again. Mike achieved his first coaching badge in 1986. Mike was proud to be selected as a masseur for the 2012 London Olympics and worked in the Olympic Stadium with the athletics and the basketball arena with the Paralympians.